This is so sad it makes me want to cry ! We Ned to sored the word better. Is there a Facebook or twitter account directed at this ? If not lets make one and I'll spread the word to everyone! :O ! Ridiculous!!!!! I'm signing! I just signed it, too. No way will this horrible act go unnoticed. Disgusting. Signed it, facebooked it and forward it. I signed this a while ago! It is gonna be a hard task to over come. Those people don't answer for a reason! what the hell is the point of this? they just do it for fun? theres not too many of them or anything? cancelled and that they are closely monitoring the situation to ensure that it is actually cancelled. So a victory for snappers. And on their behalf a big thanks to all the people who created petitions, promoted them, went to the various Meetings that resulted in this decision. You know who you are. As Collette said "I was late to the game, everyone else deserves the praise." But as the DNR says "They are closely monitoring to ensure that it is actually canceled." Which to me shows they don't trust their word as much as many as we do. So keep up with your monitoring of advertising, planned visits, whatever. Just do it quietly. Let's give them a chance to be true to their word. Though I don't like snappers in general, they are living,breathing animals LIKE US. They should be treated no different than us, and they should arrest people on site who abused an animal. Just because animals don't have a voice, doesn't mean they have no rights. I just signed. It wouldn't happens to cats or dogs. People would go crazy! Even better news! The DNR announced that Snapperfest will not be taking place this year in Indiana! A year long investigation by animal rights advocates into an event known as Snapperfest has caused organizers to stop using live turtles in their campground festivities. The Indiana Department of Natural Resources (DNR) announced on Thursday that turtles at the annual Rising Sun event where contestants pull the heads of live turtles far outside of their shells, will not take place this summer. "We have information from the owners of the campground that the portion of the event using live animals, namely turtles, will not be taking place this year. However, we will continue to monitor the situation. If you have any first-hand knowledge that laws are being broken or about to be broken involving turtles at this event, please share it with us so that it can be checked for compliance with the regulations." This past January, ALDF, along with Best Friends Animal Society, submitted a petition for rulemaking to the DNR, arguing that a misinterpretation of state law had allowed for illegal cruelty at Snapperfest. Following ALDF's petition for rulemaking, the DNR asserted that the state cruelty law does in fact apply. The annual event that has been going on since 1996 created a storm of controversy last year after people found online videos of a man slamming a turtle onto a mat on the ground, grabbing its head, stretching its neck, standing up and doing a near-360 degree spin with it, apparently kiss it on the nose. That particular video has since been deleted. "Since it began in 1996, Snapperfest has been a shame on the state of Indiana, and compassionate citizens from around the world have been up-in-arms about this pathetic event since undercover video of participants abusing turtles for a cheap thrill came to light," says ALDF director of litigation Carter Dillard. "We're hopeful the campground makes good on its word to the state of Indiana to leave live turtles out of any summer events this year--and we will look to the state to take swift action against acting in violation of animal protection laws." Campground owner Tim Sizemore told FOX19 before last year's event that "the biggest danger in the event is to the men's fingers, and that while so far no finger parts have been lost, a few contestants have needed stitches." 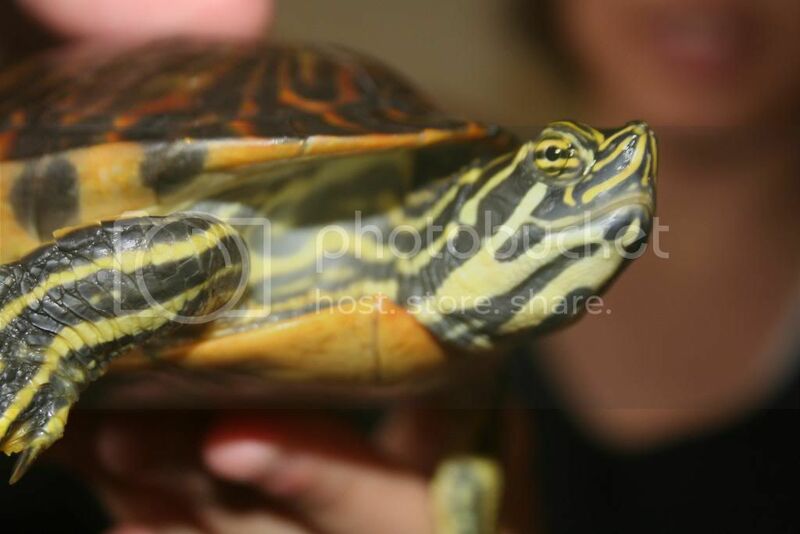 Sizemore also claimed no turtles were harmed during the event." Turtles shouldn't be in harms way ON PURPOSE.